This is the free, ad-supported version of the app. 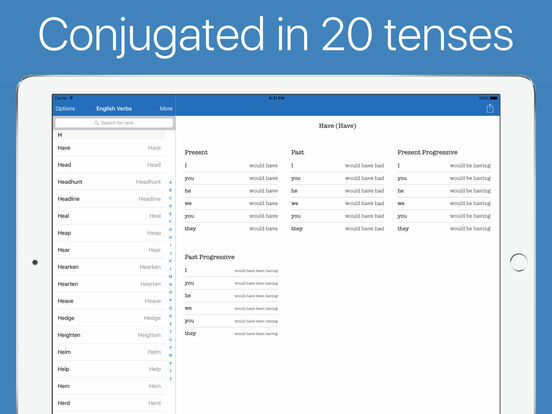 Download the pro version to remove the ads (search for "English Verb Conjugator" in the App Store). 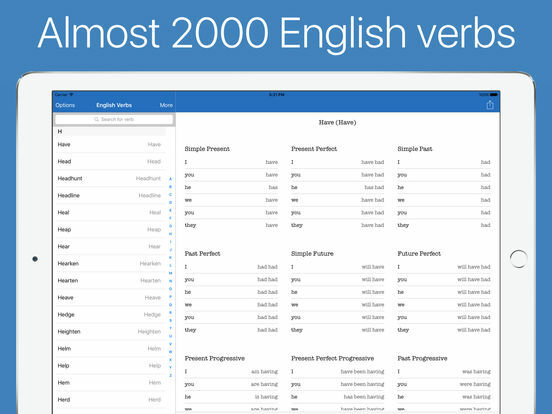 View almost 2000 English verbs in 20 tenses. 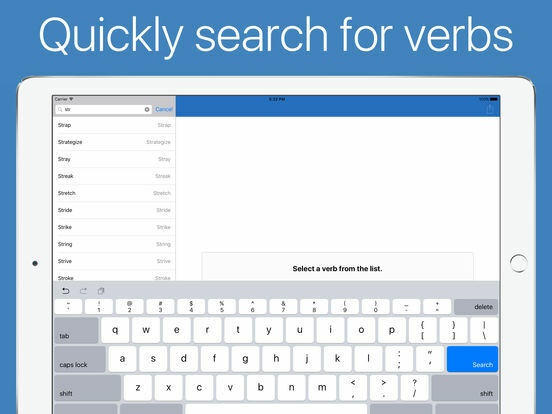 With simple navigation and built in search, you can find the verb you need in seconds. Optimised for iPhone 6 & 6S. On 6S Plus, rotate device to landscape to see a split screen view. Peek and pop (iPhone 6S & 6S Plus) - press firmly on a search result to see a preview. Press a bit harder to see the result. Shortcut option (iPhone 6S & 6S Plus) - press firmly on the app's icon to quickly search for verbs. 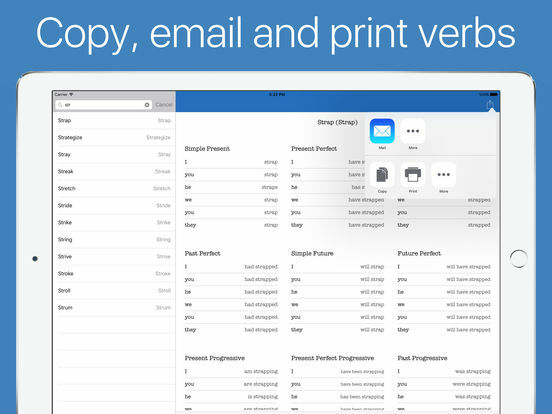 Includes the ability to copy, email and print verbs. Note: this app does not require an Internet connection. All of the data is stored locally. 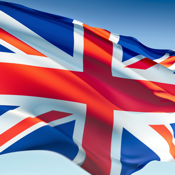 ● "Amazing - I just love all of his verb apps, even if you're a English speaker this will improve any other language your trying to learn!"